This casebook focuses on the constitutional and statutory doctrines necessary to litigate 4th, 8th, and 14th Amendment claims, 1st Amendment religion claims that arise in prison, and the 11th Amendment defense. Every chapter places students in roles as practitioners handling simulated law practice problems; provides a doctrinal overview; includes exercises, visual aids, and questions to guide student reading; and includes materials that help students reflect on their professional roles. 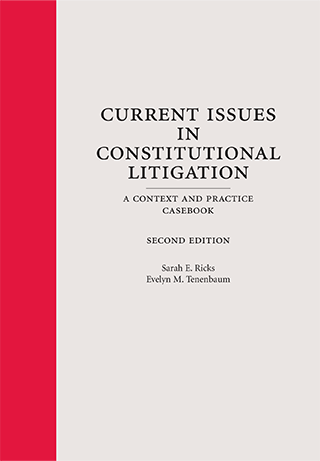 The second edition has new Supreme Court and circuit court authority, new jury instructions, and new exercises to help students become practice-ready and is adaptable for a 2, 3, or 4-credit course or for a Section 1983 constitutional clinic.